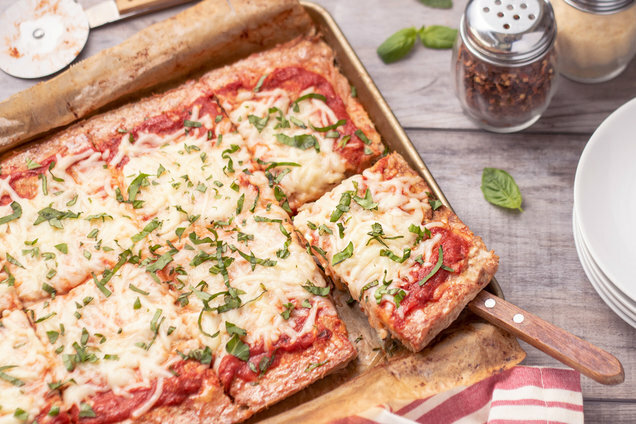 Pizza with a protein crust?! We just can't resist! And with stats like these, there's no reason to fight it. Give in… and dig in! Preheat oven to 350 degrees. Line a baking sheet with parchment paper. In a large bowl, combine turkey, egg, cream cheese, and seasonings. Thoroughly mix. Shape into a large rectangle on the parchment-lined baking sheet, about 1/4-inch thick. Bake until cooked through, about 15 minutes. Remove sheet, but leave oven on. Carefully drain excess liquid from the baking sheet, and thoroughly blot the crust dry. Spread sauce over crust, leaving a 1/2-inch border. 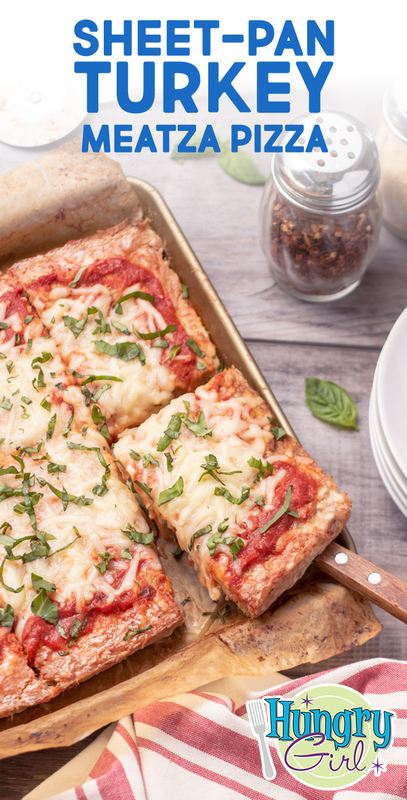 Top with mozzarella and basil. Bake until mozzarella has melted, about 5 minutes. 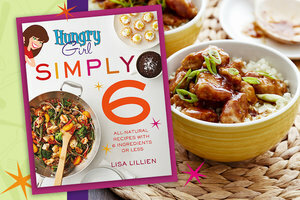 Hungry for More Sheet-Pan Meals with 6 Ingredients or Less? 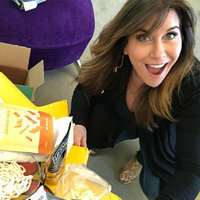 Tune In for Chew and Tell (Taste-Test Mania)! ⭑ a BREAKOUT chocolate-covered fruit find Lisa rates "a 15 on a scale of 1 - 10!" ⭑ pure-protein noodles made from something purely unexpected! Click to listen, and subscribe so you don’t miss an episode. It’s March 26th, National Spinach Day. We love making extra-decadent veggie dishes, like these Spiffy Spinach & Artichoke Stuffed Mushrooms -- only 143 calories each! Pass your pals a slice of the fun -- click "Send to a Friend" to share!